Despite being cleared of serious structural damage, Aaron Finch's Boxing Day dream could be in doubt after the Aussie opener suffered a finger injury on day three in Perth. 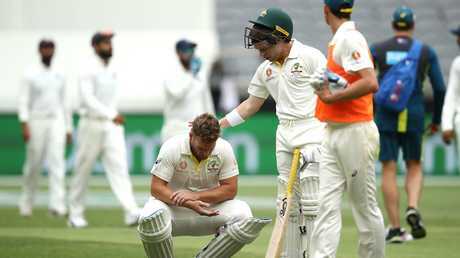 The Victorian was forced to retire hurt and sent to hospital for x-rays after being struck on his right index finger by Indian quick Mohammad Shami with the first ball of the 13th over. 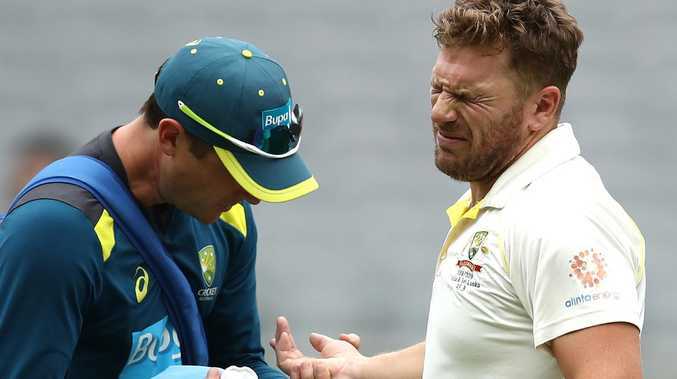 Finch grimaced significantly and ripped off his glove, calling for treatment as he battled the pain, with the skin on his finger broken by the 142.5kmh blow which could end his series. It was the same finger Finch needed treatment on after being struck by teammate Mitchell Starc in the nets before the opening Test in Adelaide. An early tea was called with Finch unable to bat, before team officials confirmed he needed x-rays. It was the second of two blows to the Aussie opening pair with Marcus Harris struck on the helmet by Indian quick Jasprit Bumrah which forced another delay in play. Harris was assessed on field by team doctor Richard Saw and showed no signs of concussions. He batted on, before being bowled for 20 leaving a ball from Bumrah. But protocols demand the left-hander be tested again after play and team officials said Harris would continue to be monitored. A squad for the next two Tests was set to be named on day five in Perth, and doubts over Finch could open the door for a host of potential replacements. Australian coach Justin Langer had been reticent before the game to change his batting order, but that could be an option for Melbourne. Usman Khawaja opened, with Finch, against Pakistan in the United Arab Emirates in October, but has batted at three during the two tests against India. 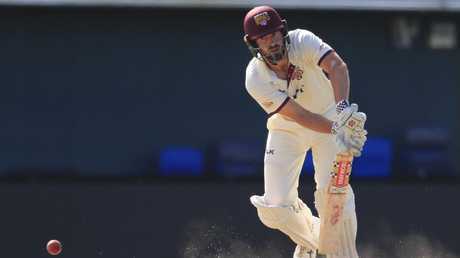 Another scenario would see another opener coming in if Finch was ruled out, with Queenslanders Joe Burns and Matt Renshaw in the frame. Burns is the fifth leading run scorer in the Sheffield Shield this season, with 472 runs at 47, and was a late call-up to the Test squad in South Africa earlier this year. Renshaw was considered a front-runner to be part of the Indian series, but has averaged less than 20 in five Shield games this season. He did, however, make a competition-record 345 playing club cricket the week after he was overlooked by national selectors. NSW openers Dan Hughes and Nick Larkin are both coming off hundreds in the last Shield match against South Australia. The pair each have two centuries this season and are, with Burns and Harris, the leading opening batsmen in the Shield.